https://mygenerationbenefits.com/wp-content/uploads/2015/07/MyGenLogo-2015-Final-300x68.png 0 0 Donna Pleis https://mygenerationbenefits.com/wp-content/uploads/2015/07/MyGenLogo-2015-Final-300x68.png Donna Pleis2015-07-05 15:53:562015-08-27 17:10:10What is a Root Canal, and How to Handle the Cost? 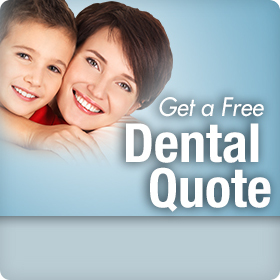 Full Coverage Dental Insurance: Myth or Reality? https://mygenerationbenefits.com/wp-content/uploads/2015/07/MyGenLogo-2015-Final-300x68.png 0 0 Donna Pleis https://mygenerationbenefits.com/wp-content/uploads/2015/07/MyGenLogo-2015-Final-300x68.png Donna Pleis2015-06-19 15:48:502015-09-02 16:38:45Full Coverage Dental Insurance: Myth or Reality? https://mygenerationbenefits.com/wp-content/uploads/2015/07/MyGenLogo-2015-Final-300x68.png 0 0 Donna Pleis https://mygenerationbenefits.com/wp-content/uploads/2015/07/MyGenLogo-2015-Final-300x68.png Donna Pleis2015-05-18 11:49:372015-08-27 17:37:15Dental Insurance: Will It Cover Teeth Whitening Procedures?